Image, Life and Correspondence of John A. Quitman (New York: Harper & Brothers, 1860). A Brief Sketch of the Life, Civil and Military, of John A. Quitman.... Washington: Ritchie and Heiss, printers, 1848. Broussard, Ray. Governor John A. Quitman and the Lopez Expeditionos of 1851-1852." Journal of Mississippi History 28 (May 1966): 103-20. Claiborne, John Francis Hamtramck. Life and Correspondence of John A. Quitman, Major-General, U.S.A., and Governor of the State of Mississippi. New York: Harper and Bros., 1860. Gonzales, John Edmond. 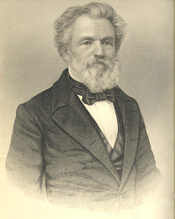 John Anthony Quitman in the United States House of Representatives 1855-1858." Southern Quarterly 4 (April 1966): 276-88. May, Robert E. John A. Quitman and His Slaves: Reconciling Slave Resistance with the Proslavery Defense." Journal of Southern History 46 (November 1980): 551-70. . John A. Quitman: Old South Crusader. Baton Rouge: Louisiana State University Press, 1985. McLendon, James H. John A. Quitman." Ph.D. diss., University of Texas, Austin, 1949. . John A. Quitman in the Texas Revolution." Southwestern Historical Quarterly 52 (October 1948): 163-83. Urban, C. Stanley. The Abortive Quitman Filibustering Expedition, 1881-1885." Journal of Mississippi History 18 (July 1956): 175-96. Walther, Eric H. Honorable and Useful Ambition: John Anthony Quitman." C hapter 3 in The Fire-Eaters. Baton Rouge: Louisiana State University Press, 1992. Quitman, John A. Remarks of Messrs. [Galusha A.] Grow, Quitman, and T[homas]. L[angrell]. Harris, on the Missouri Compromise. Washington: Printed at the Congressional Globe Office, 1856. . Speech of John A. Quitman, of Mississippi, on the subject of the Neutrality Laws: Delivered in Committee on the Whole House of the State of the Union, April 29, 1856. Washington: Printed at the Union Office, 1856.